Posted on April 13, 2013 by Charlie C.
The upcoming issue of the Australia magazine FilmInk has a Spring Breakers cover and an eight-page feature on the film. The cover also shows a free Spring Breakers poster is included. The issue will be release April 15, with both physical and digital copies available. See the FilmInk website here for purchase details. Posted on April 2, 2013 by Charlie C.
On April 3, Harmony Korine will be answering questions through Dazed and Confused‘s Twitter. For more details get in touch with @DazedMagazine. 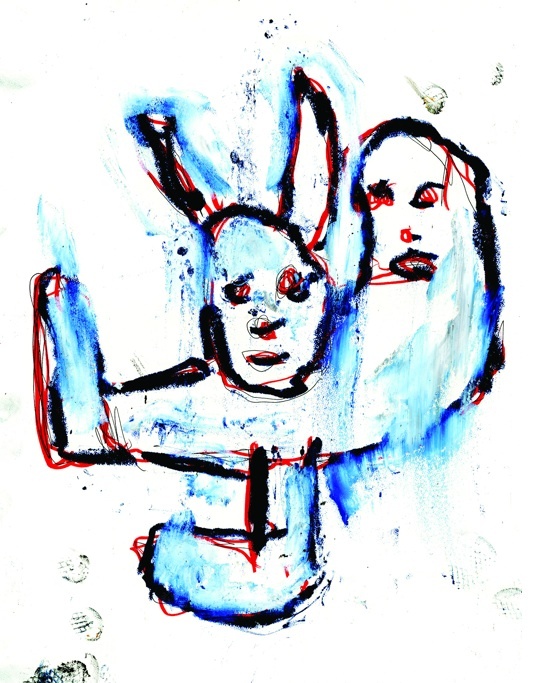 Posted on October 10, 2011 by Charlie C.
Printed Matter recently published a signed and numbered giclée print by Korine for the 2011 New York Art Book Fair. The print, pictured below, is an edition of 100 and is priced at US $150. It is available for purchase here on the Printed Matter website. Printed Matter are also currently offering the Trash Humpers book with a cover hand-painted and signed by Korine, priced at US $650. Further details can be found here. Posted on April 20, 2011 by Charlie C.
A series of pictures from the set of Rebel have been posted on pasunautre.com here and here. Rebel at this time is planned to screen at the 54th Venice Biennale, which opens in June. 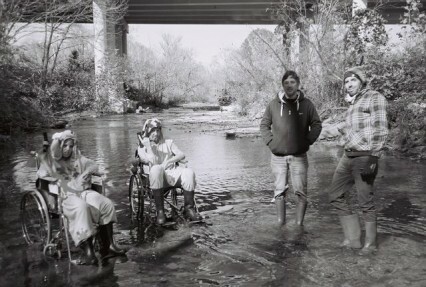 Posted on April 7, 2011 by Charlie C.
A video from the set of Rebel, the Harmony Korine / James Franco project, has been uploaded to YouTube here. This is the video that was posted on Franco’s Twitter, first reported on the site here, and then deleted a short time later for unknown reasons. 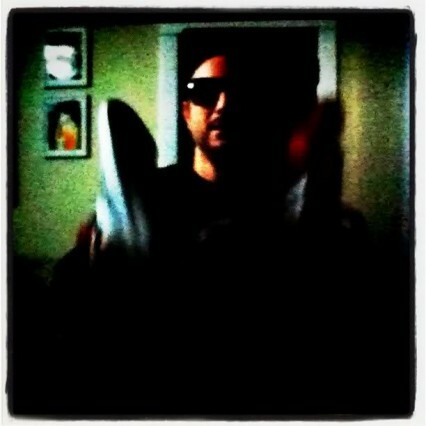 Posted on March 28, 2011 by Charlie C.
James Franco has posted to Twitter a preview of his project with Harmony Korine. The video that was linked (here) features a Notorious B.I.G. song as soundtrack but a video without the song can also be found here. The Franco / Korine project, going by the end of the video, seems to be titled Rebel. UPDATE: The videos have for some reason been removed. 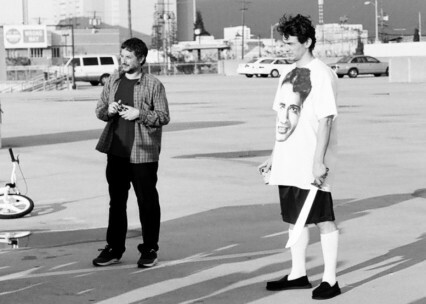 Posted on March 22, 2011 by Charlie C.
Vice recently spoke with Harmony Korine and Die Antwoord’s Ninja and Yolandi Visser for an interview that you can find on their site here. Vice have also posted a number of pictures from the production of Umshini Wam, taken by Rachel Korine, here. A few other photos can be found on our forum here. Umshini Wam can currently be viewed on Vice‘s VBS.tv here. 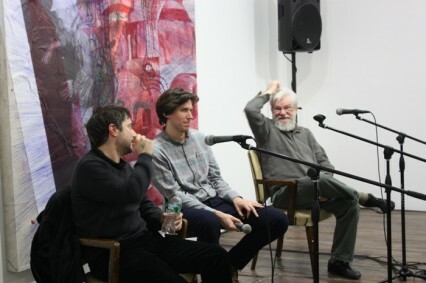 On January 15, Harmony Korine appeared alongside conceptual artist Dan Grahm at the Swiss Institute, New York, for a discussion of comedy in film. The Swiss Institute has now made available an audio recording of this event, which you can find on their website here. The recording is one-hour long and the file is in MP3 format and 42.5MB in size. Posted on March 15, 2011 by Charlie C.
Umshini Wam, Harmony Korine’s short film with Die Antwoord, will be available at midnight tonight (USA EST) on Vice‘s VBS.tv. From that time you will be able to find the film here.